Shibui (渋い) is a Japanese adjective which refers to an aesthetic of simple, subtle, and unobtrusiveness. This is a fun little personal project which looks to explore the current Japanese “Petty Knife” and fusing it with my western perspective. 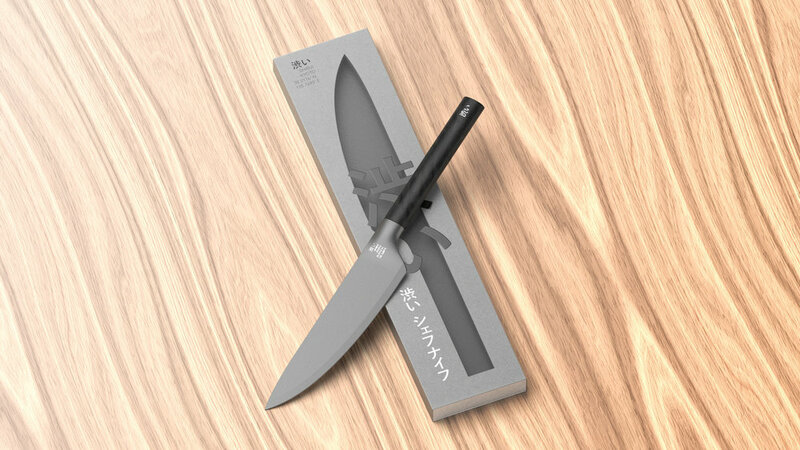 A petty knife is a Japanese style cooking knife which resembles a small chef’s knife, but with a medium sized blade and a longer handle allowing it to maneuverer through both big and small jobs. These types of knives can be used to intricately carve and style vegetables for beautiful presentations and garnishes but also work well for bigger jobs like preparing meals. In kitchen usage, a utility knife is a western knife that sits between a chef's knife and paring knife in size. The utility knife has declined in popularity recently mainly due to clearance issues. 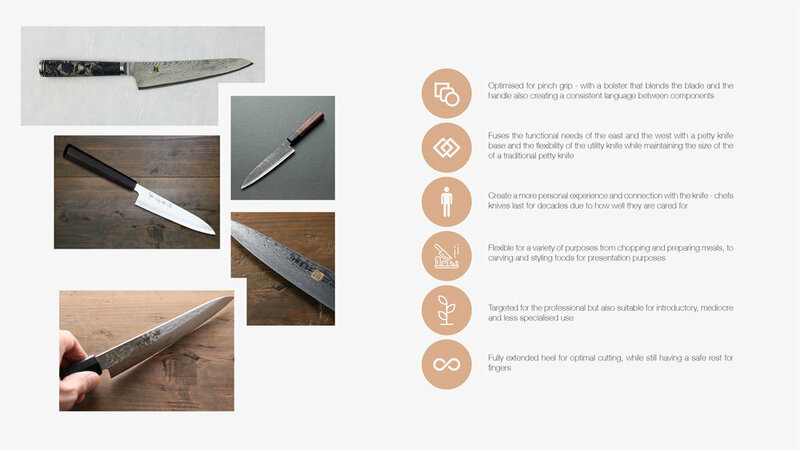 The design looks to create an added layer to the petty knife, fusing it with features from the utility knife maintaining the design goals listed below. 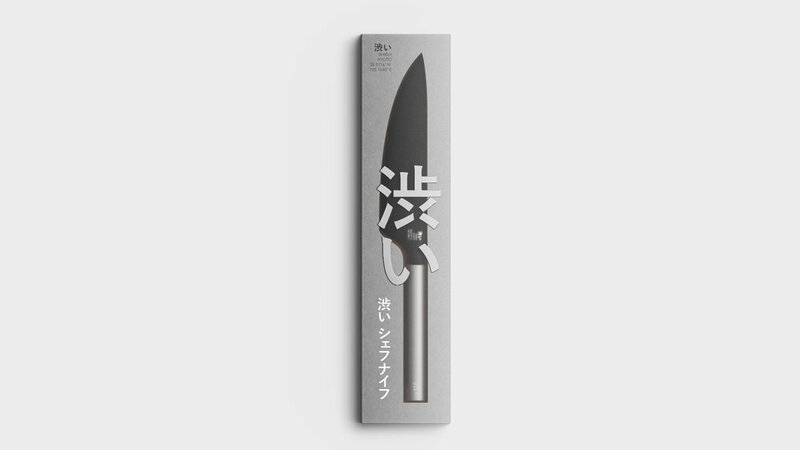 Shibui arrives in packaging where you can see the knife subtly behind the frosted panel and transparent plastic sealing. The product logo is embossed onto the light grey recycled card base with a metallic foil finish. The lid is simply removable after the film has been removed revealing the knife sitting snugly in a formed foam container for it. 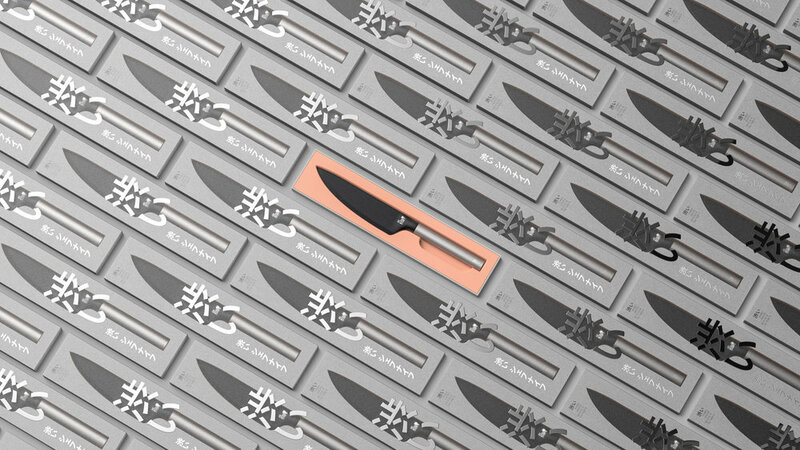 The different variations of the knife come in slightly different packaging, with the main difference being the colour of the foil on the embossed logo. The design looks to create a consistent connection between the blade of the knife and the handle by creating a blended bolster. 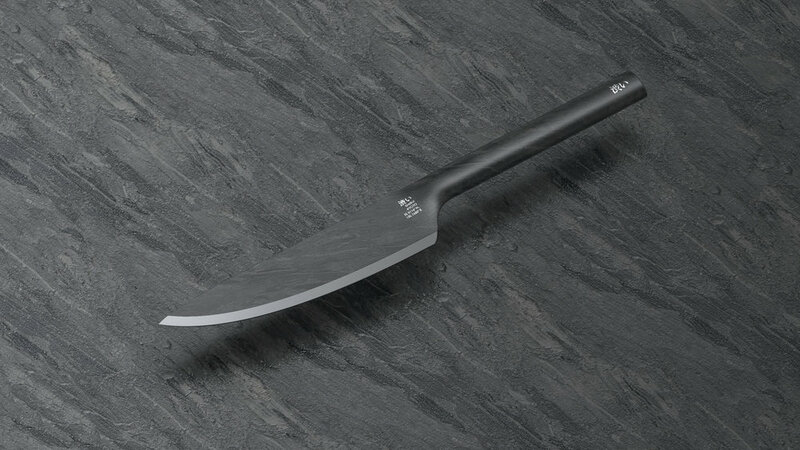 The blade is made up of a cast high carbon steel which is further hardened and hand sharpened, which is then inserted via a friction fitted into a hidden tang in the handle. The handle is made of a synthetic composite and encased with a variety of veneers - in this case a subtle black marble veneer. This finish of the knife explores the traditional Japanese aesthetic of Wabi-sabi (侘寂) which is an aesthetic view centred on the acceptance of transience and imperfection. The aesthetic is sometimes described as one of beauty that is imperfect, impermanent, and incomplete. This version looks to embrace the imperfections of high carbon steel after years of use. This material combination of this version of the product looks to use an injection moulded plastic with frost additive concentrates to achieve the frosted look illustrated below. 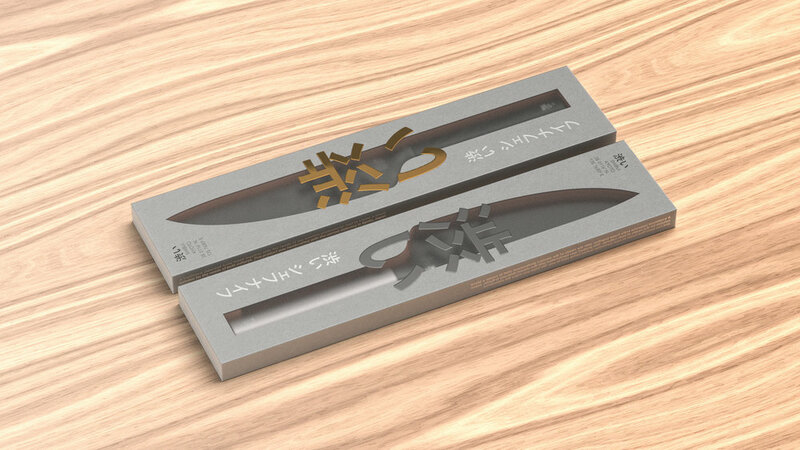 This version looks to unite the form of the petty knife into one, continuous and singular form. This version of the knife could be available in a variety of different colours. And here's a material combination that's crazy, impractical and fun.